This may be a short hole but it is well guarded with two bunkers short as well as one long. 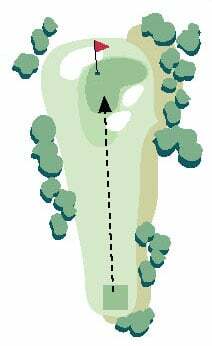 Balls that land short of the green will roll into the bunkers or into a collection area on the left side of the green. Place your tee shot in the middle of the green and take your par.